It’s pretty clear that we’ve beaten Martians to the chase as far as planetary invasions are concerned. Since 1960, Earthlings have embarked on over forty missions to Mars in the form of flybys, orbiters, and landers. About half of our attempts have been successful too, proving both that exploration of the Red Planet is still a really challenging endeavor and that we are pretty tenacious, if nosy, interplanetary neighbors. The Interior Exploration using Seismic Investigations, Geodesy and Heat Transport (InSight) mission to Mars is the next concerted effort to unlock the secrets of planetary formation in our solar system. NASA’s Jet Propulsion Laboratory (JPL) is managing this mission, which is set to launch from Vandenberg Air Force Base, CA on an Atlas V rocket in March of 2016. 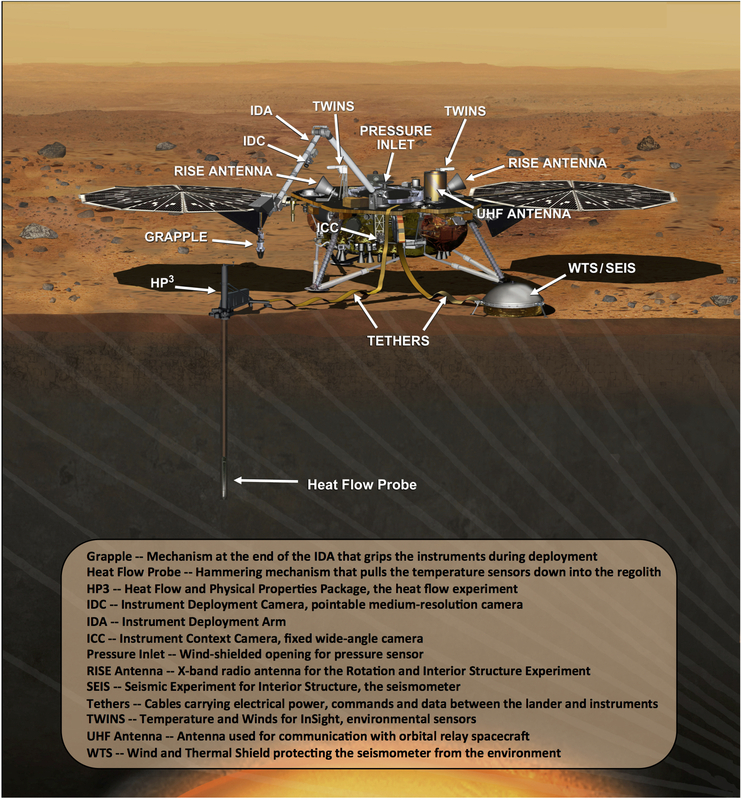 The InSight lander is fitted with an array of instrumentation that will allow it to collect data over the course of its two-year mission. With its solar panels in position on Mars, InSight will span 18 feet and weigh-in at about 770 lbs. The instrumentation that makes the lander such a heavyweight comes from an international assortment of contributors, made up of the JPL, Lockheed Martin, the French Space Agency (CNES), and the German Aerospace Center (DLR). Lockheed Martin is building and testing the lander for this mission, and Nick Ryan is a Sr. Systems Integration and Test Engineer at their Space Systems Company in Denver, CO. Nick is elbow-deep in the landers Assembly and Test phase, testing new software and verifying test procedures before they are used on the Lander. So, what does this mission have in store for us? What major hurdles does it face, and what might it reveal about the Red Planet? I recently caught up with Nick to get some insight into InSight. KH: What are the goals of this mission and how do they relate to previous missions to Mars? NR: Most previous Mars missions have been focused on finding evidence of life, water, and studying the possibility of a manned mission. InSight will break from that goal and instead will be studying the early geological evolution of the planet. The primary goal is to better understand how the rocky planets formed and evolved over billions of years. KH: What are some of the greatest challenges the team is facing this time around? NR: One of the biggest challenges for any mission to Mars is being ready to go when our launch window arrives. InSight’s launch window is less than a month, and if we miss it, it will be over 2 years before Earth and Mars are realigned for another shot. KH: What are some of the greatest hopes or best-case scenario findings for this mission? NR: The science instruments on InSight will allow scientists to determine more information about Mars’ core, mantle, and crust. We will learn if the core is liquid or solid, how fast heat is escaping the interior of the planet, and if there is any seismic activity (marsquakes!). 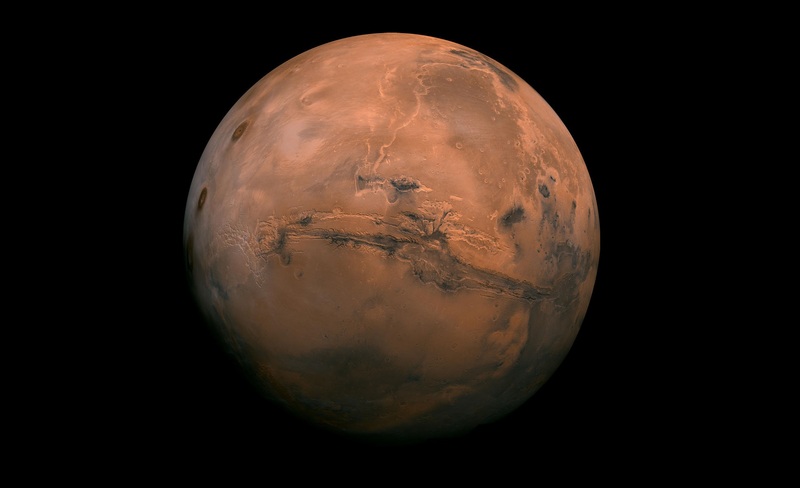 Understanding Mars’ history better will also hopefully help us understand Earth’s future. KH: Can you tell me a bit about the lander’s capabilities? How many of its parts are recycled from previous landers? How many different kinds of experiments/analyses can it do? NR: The Lander design is reusing technology from the Phoenix lander. The IDA (robot arm) is also based on the same arm that Phoenix used except InSight has a grapple in order to pick up and deploy instruments onto the surface of Mars. The 2 primary instruments are SEIS (Seismic Experiment for Interior Structure) and HP3 (Heat Flow and Physical Properties Package). Also RISE (Rotation and Interior Structure Experiment) will use the lander’s x-band radio. There are also a variety of wind, temperature, and magnetometers on board to measure the local atmosphere and environment, and 2 cameras. Annotated artist’s rendition of NASA’s InSight Mars lander fully deployed for studying the deep interior of Mars. KH: How would you define the relationship humans have to Mars? How might this mission shape the future of this relationship? NR: Humans have had an amusing relationship with Mars. In the past we used to fantasize and dream about when or if Martians will come to Earth and will they be invaders. Now we wonder when we will go to Mars. The data InSight is going to gather about the interior and structure of Mars will help us to understand more about Earth, and maybe predict how Earth’s interior will change with time. InSight will show what we learn out in space can help us better understand ourselves. More motivation to keep exploring! KH: What would be your advice to those interested in living on Mars some day? What do you imagine would be the best way to enjoy Mars as a visitor? NR: Living on Mars will take a lot of adjusting. One thing for sure though is you’ll have to learn to tackle and resolve problems on your own. It can take over 20 mins to send a message to Earth, so don’t expect any quick responses! Also, learn to recycle and reuse everything! You may even be using your own waste to fertilize your next meal. As a visitor, I would say go explore! We’ve only seen Mars through the eyes of our robots, it would be amazing to step into that environment and be fully immersed for a visit. KH: If the Mars lander were to suddenly gain consciousness at some point during this mission, what would be its first thought? What would be its last thought once the mission is completed?